Ajay is a Certified Management Accountant and a Certified Training and Development Professional (CTDP). He combines both his educational background and professional experience in delivering successful outcomes for his clients. 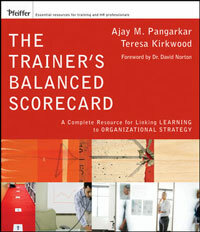 Ajay is a published author with John Wiley & Sons recently publishing their third book titled, “The Trainers Balanced Scorecard: A Complete Resource for Linking Learning and Growth to Organizational Strategy” (2009). 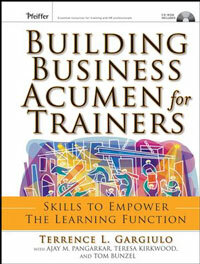 Other recent books include “The Trainers Portable Mentor” (2008) and “Building Business Acumen for Trainers: Skills to Empower the Learning Function” (2006). CentralKnowledge was recognized by TrainingMag 2008 Project of the Year for their work with Apple.